I hope everyone managed to keep warm on the very cool days we experienced recently. Garry and I spent the weekend in Hobart and would you believe it was colder in Sydney! I am sorry I missed our guest speaker, Sandra Lever from Graythwaite Rehabilitation Centre last Friday morning, I look forward to hearing about the presentation and the important support the Graythwaite Rehabilitation Centre provides to our community at our next Board Meeting. Our guest speaker this week is Stephanie Gilroy a dietician from Macquarie University who will be talking to us about Healthy Eating. I would like to thank Mak Kahlil and David Martin who book the guest speakers for our meetings. All our guest speakers have been very interesting and informative. The next Board meeting will be held on Friday 27 July commencing 7.15a.m. at Dunmore Lang College. There will be no Club meeting on this day but all members are welcome. Please let David Martin know you with to attend by Wednesday morning 9 a.m. prior to the meeting so that catering can be organised. Next week we will welcome Helmiina Salila, our exchange student from Jyraskyla in Finland. 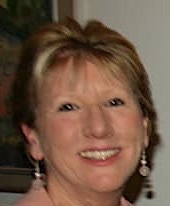 Helniina arrives on Sunday 22 July and will stay with Annette Billington for a few days while she acclimatises to Australia. Then she will move on to her first host family, the Buick family. Samantha Buick went to Sweden last year as an outgoing exchange student sponsored by our club. Thank you to Pam Bennett, Terrie McConnell and Annette Billington for all the preparation work they have undertaken to ensure Helmiina has a positive exchange experience. The first of the free seminars organised by Barb Corapi from the Centre for Emotional Health will be held next Tuesday evening 24 July from 6-7p.m. at the Hearing Hub, Macquarie University. The topic is Eating and Body Image Disorders in Adolescence. Thank you to the club members who have volunteered to come along and assist at this seminar and the second seminar on Wednesday 22 August. For more information or register see here. Organisation for the North Ryde Fun Run is well underway, with registrations now open at northrydefunrun.com.au and sponsorships are still coming in. This week North Ryde RSL have agreed to sponsor the Fun Run for $500 and Strike Bowling Centre have donated some fabulous prizes. Over the next few weeks, I will be sending out requests for volunteers to help distribute flyers and to help on the day, Sunday 26 August. The Rotary Club of North Ryde in partnership with the Centre for Emotional Health is pleased to present two free information evenings ideal for parents and teachers. The seminars will be held at the Hearing Hub, Level 2 Lecture Theatre at Macquarie University. The North Ryde Fun Run for Youth Mental Health is a community event organised by the Rotary Club of North Ryde, with venue partner Macquarie University and local community groups. The 2018 Fun Run will be held on Sunday 26th August from 9am to 12pm at the Macquarie University Sport Fields, corner of Culloden and Talavera Roads, Macquarie Park. The proceeds raised go towards funding research into youth mental health through the Australian Rotary Health organisation and to treatment programs through the Centre for Emotional Health. 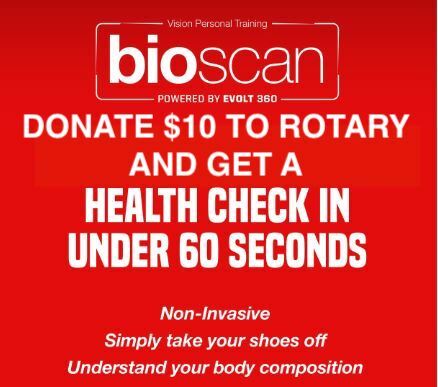 This year Vision Personal Training will have their Bioscan available at the North Ryde Fun Run on Sunday 26 August. For a $10 donation participants can have a full health check on the spot! Does your business have a team of Runners who would like to compete at the North Ryde Fun Run? 2x $400 PT voucher to the highest corporate team. 2x $250 voucher to the runners up. 1x $500 PT voucher to the individual who bids for it! The Rotary Leadership Institute is a great way to fill gaps in Rotary knowledge with interactive learning and workshops that get down to practical advice and guidance. Going beyond PETS and District Assembly, RLI enthuses Rotarians and is a proven retention booster. I recommend it to all Rotarians, but especially Club leaders on the Board and Committee chairs. The cost for the full course is $75. The benefits of doing RLI are many, so boost your knowledge and skills, and share your experience by joining in. The two part course is held at our District Office, Thornleigh. Morning tea and lunch are provided. 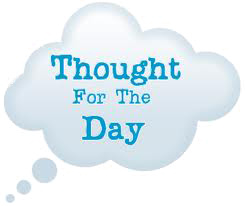 Each day starts at 8:00 for 8.15am and finishes around 4.00pm. Highly recommend RLI to all Rotarians whether new or old. The Rotary experience will be better for all of those trained in RLI. Why did I wait so long? No nodding off, interest held all the time and thoughts provoked. As a result of attendance I will be more effective in my Club and I intend to invest more of my activities and talents in Rotary. The better understanding of [course content] I hope will assist me with becoming a better President. 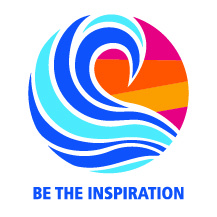 I feel more confident that I will be able to plan the future of our Club and add additional value to Rotary. Did you know that a bear has 42 teeth, a soccer ball 32 panels and a 22 inch waist is a myth?